A burst of energy in 20 minutes, colourful, vibrant with virtually no set up time needed! 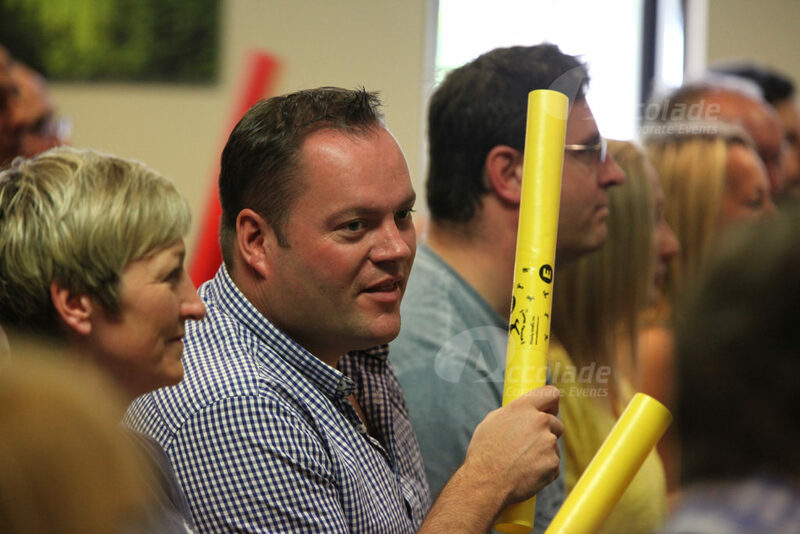 This powerful energiser can deliver your conference message perfectly! 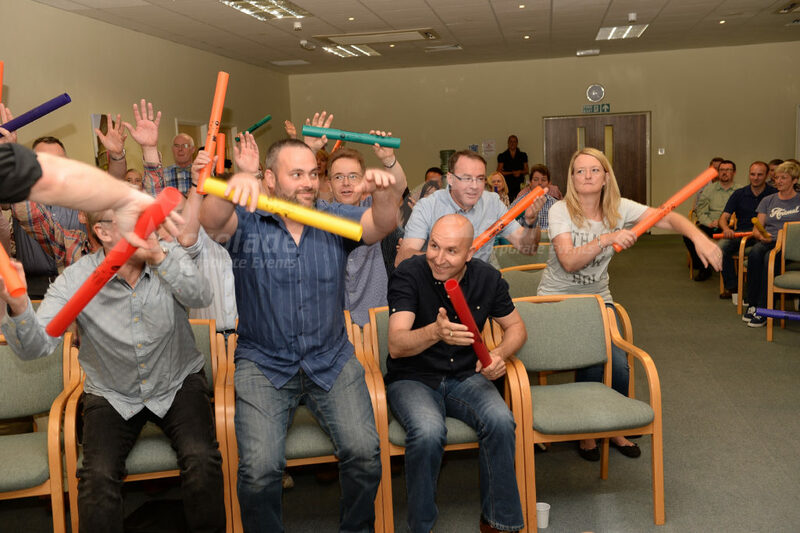 If you need to energise your group but you haven’t got much time and you’ve got no space, then Boomwhackers is the energiser for you. 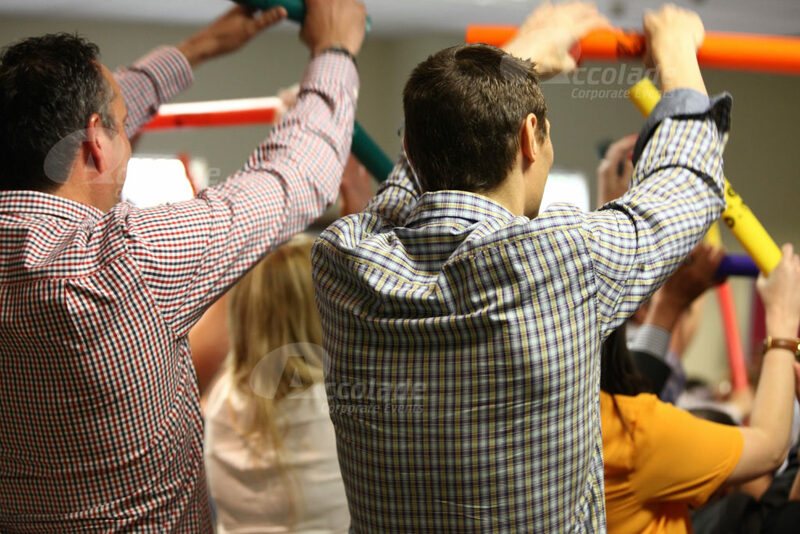 They’re effective, they raise the energy level and they have a dramatic effect on your group. 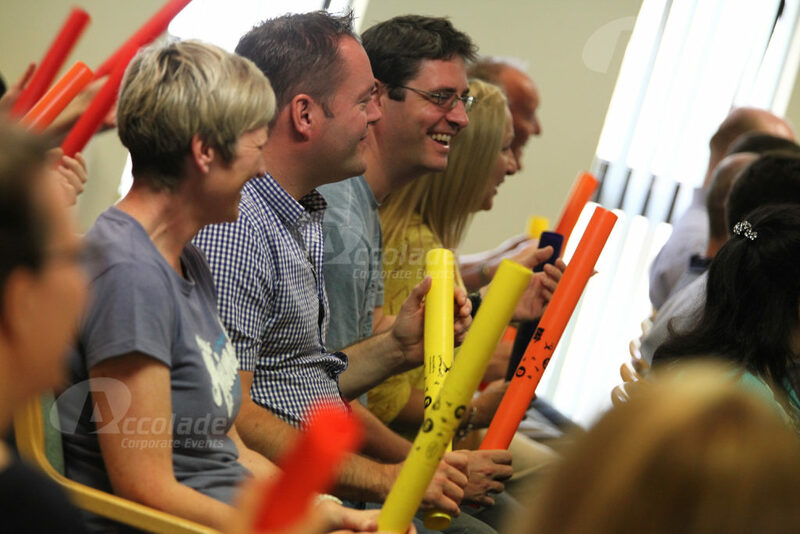 Boomwhackers are a favourite with organisers as they are so easy, they are highly visual, they create a wonderful sound but aren’t too loud and the way we use them lends itself perfectly for team work metaphors, meaning we can easily incorporate your company message or keywords into the session. We come to you, the venue of your choice, UK, Europe or Worldwide. 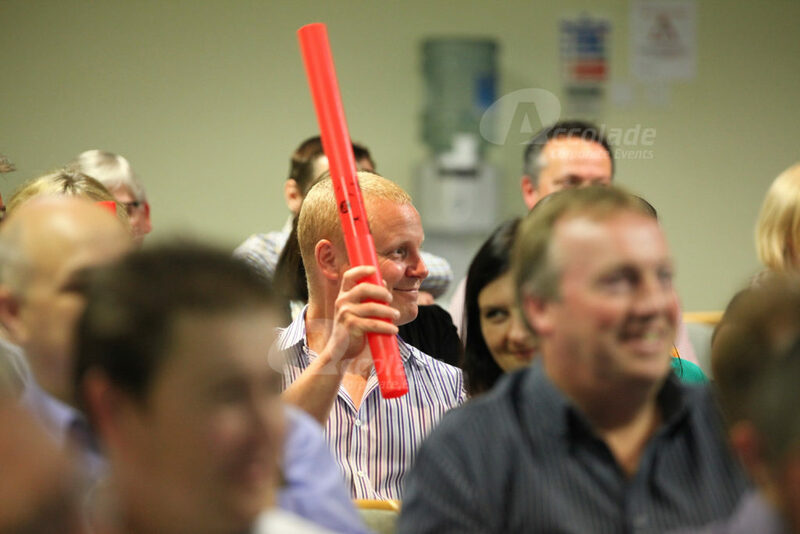 Boomwhackers can easily be hosted for up to 3000 people – imagine the power that creates! 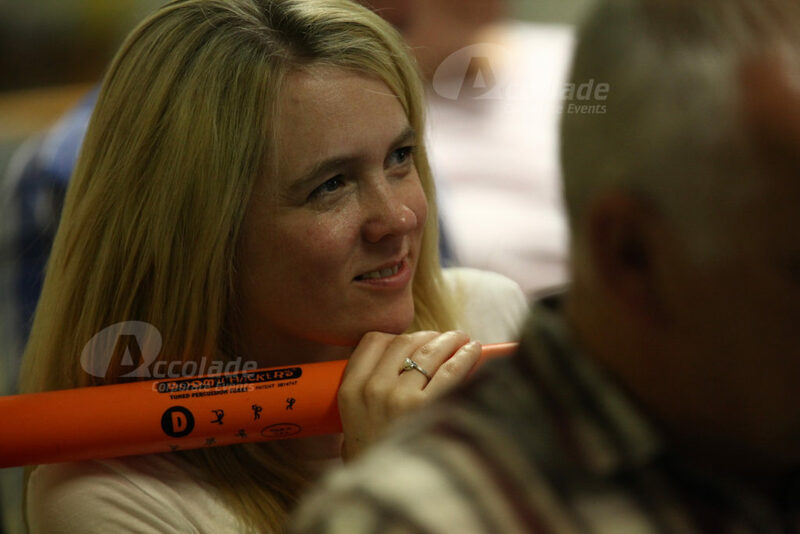 Boomwhackers are simple tubular instruments that when tapped on a hand creates a musical sound. 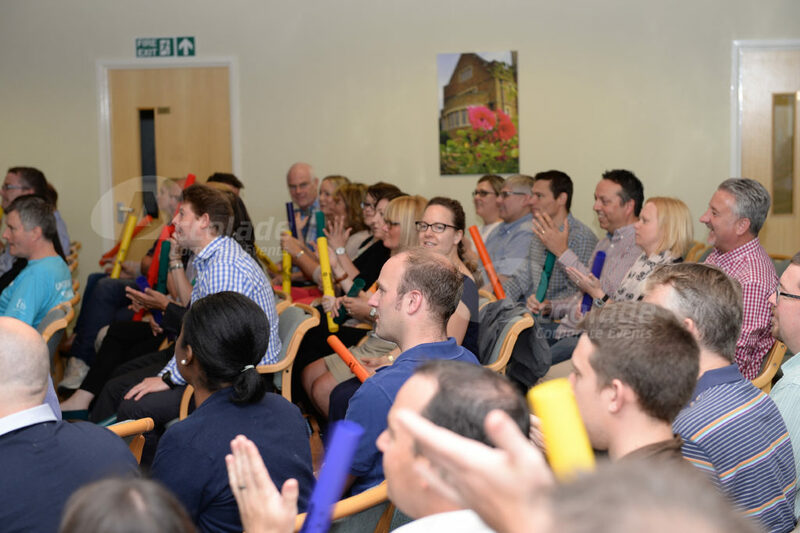 With five different coloured Boomwhackers producing different sounds, we can transform your group into a highly tuned, uplifting Boomwhacker orchestra. 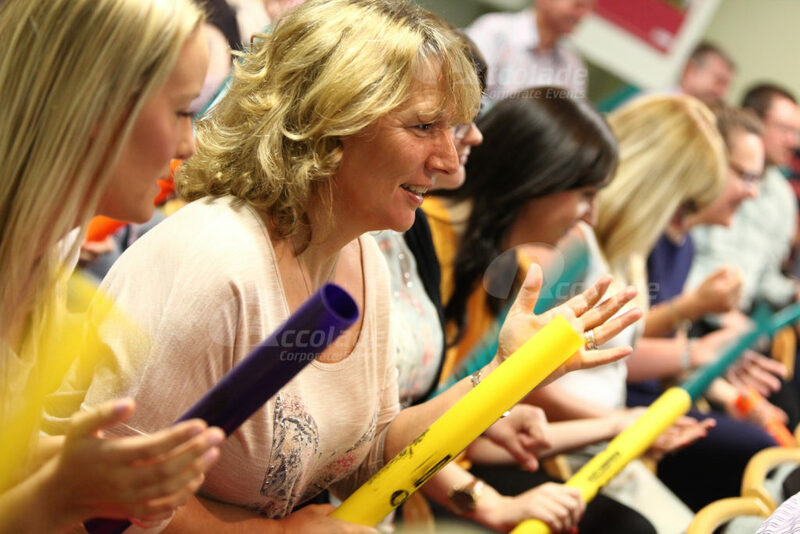 This incredibly powerful energiser creates such a euphoric, ‘can do’ feel for your delegates. 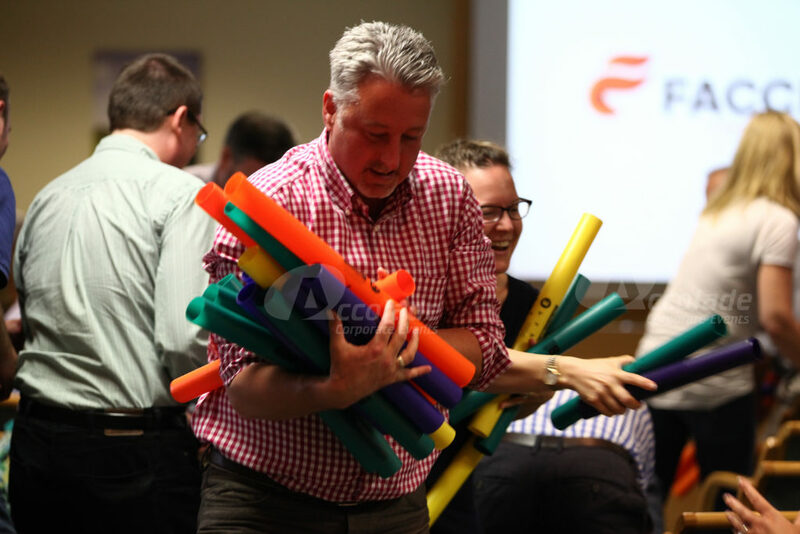 Want to read and see how one of our clients successfully hosted this fun Boomwhacker energiser? Take a look at our blog and read a review and look at the photos – you’ll soon see it’s a great and flexible event! 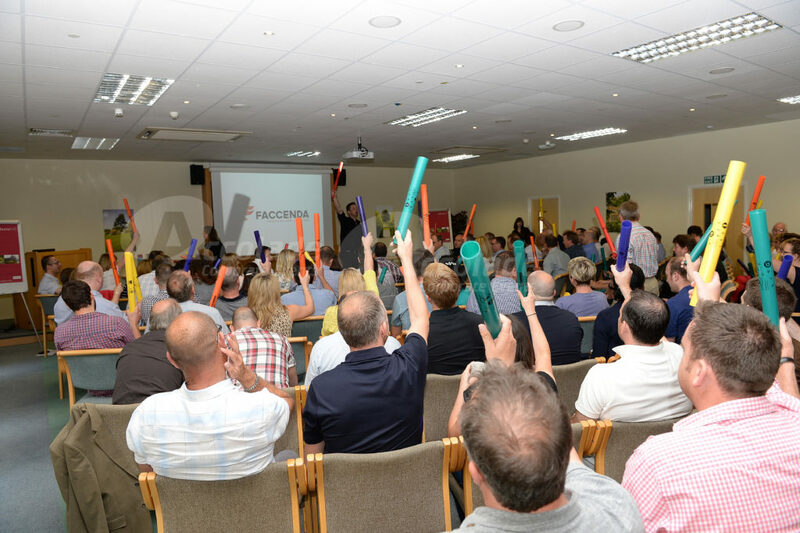 Why not give us a call and find out how a Boomwhacker conference energiser can really enhance your next event – call us on 0800 083 1172. Another super flexible and super quick icebreaker is Body Percussion!